Stores reference 6A/294. Approximately 9cm diameter. Bakelite case. 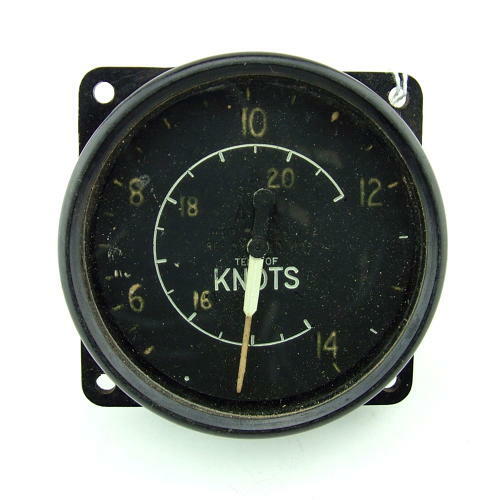 Airspeed indicator reading to 200 knots. 1942 dated. Well marked with Air Ministry King's crown to rear and full 'type' markings on the face of the dial. Appears to be in good condition but we have no idea whether this is a functional instrument. Sold as a collectible. UK sales only. Stock code M22114.